With a sweet face to melt your heart, Precious Moments Hezzy Cow also has a very special inspirational tag bearing its name and an encouraging message that is close to its heart - "You're Udderly Moo-velous." 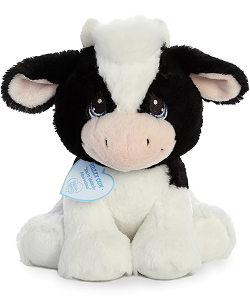 This adorable plush cow has a huggable body of soft white and black fur, fluffy white tuft of hair, light pink muzzle and inner ears, and an endearing smile set below beautifully embroidered blue tear-drop eyes. 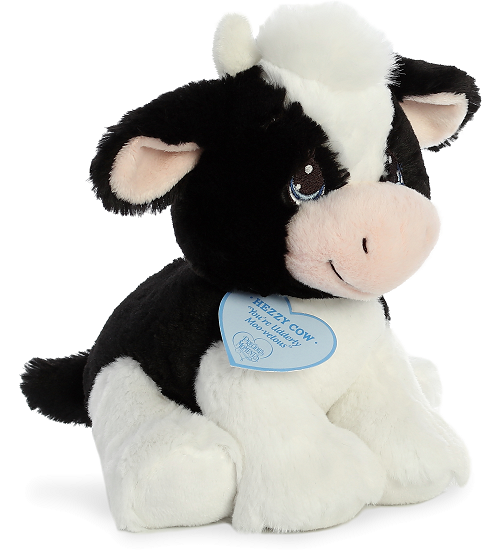 This Precious Moments Hezzy Cow is a stuffed animal cow that will Share the Gift of Love for years to come. Floppy (Grey) is an adorable plush bunny with soft gray fur and an inspirational message of Oh Hoppy Day. Dusty is an adorable plush donkey with soft light gray fur and an inspirational message of We're Pulling for You. 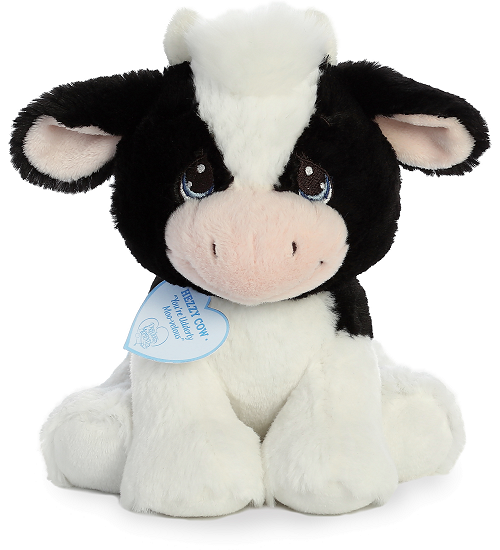 This sweet plush cow backpack clip is cuddly with soft white fur, cute cream horns, and smiling face.